I just wanted to say thank you for sending the mat. It is FANTASTIC! 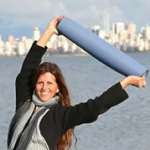 Gloria Latham, Semperviva Yoga – Vancouver, B.C. Semperviva Yoga was founded by Gloria Latham and her husband Scott Latham with this purpose in mind, to make yoga accessible to Every Body. I gotta say, I was hesitant because of the price. 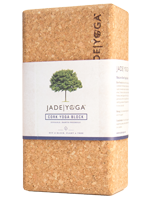 I had been originally guided to JadeYoga by a fellow student because I was always slipping on my mat. I am strong, but when you have to focus on finding traction to avoid slipping in you side plank, downward down and so on, it impedes on your ability and takes away from your practice. When I looked on your website I was not sure if these mats where worth the cost. Well, I have used my mat now four times already and what a difference! I’m more stable, more focused and it is awesome! So yes, they are worth the investment; it is an investment in your practice and yourself. Great product! Thank you. We sell most of our mats… by letting students use one. They fall in love, but why wouldn’t they?!? They are the best mats in the world!! 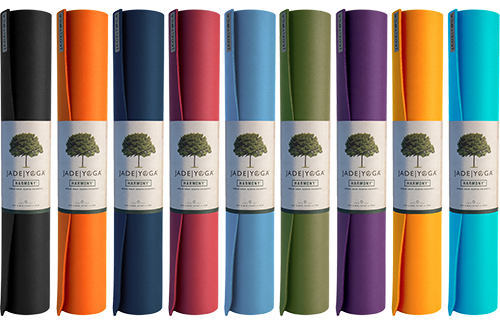 [I have] never endorsed a yoga product before but [I am] extremely enthusiastic about two lines of yoga mats from Jade Yoga. These 3/16 inch thick (“Harmony Professional”) or 5/16 inch thick (“Fusion”) mats give superb cushioning, grip, stability and comfort. They are a quantum leap in mat technology — a jet plane compared to a propeller plane. They enable students to take their practice to a new level. I’m so happy with it. I love the mat! it’s so comfortable, and even that smell is soothing to me. Thanks for a great product. 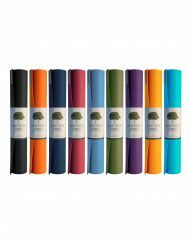 The Fusion yoga mat I ordered a few weeks ago is amazing!!! I am looking forward to receiving my travel mat. I am a yoga teacher and have recommended this mat to all of my students. Thank you for offering such a wonderful product. Keep up the good work. I took my green mat home and the next day tried it out in my daily morning practice. Wow. I will never go back! It is soooooo much better than my old mat. My hands stick to it, they don’t slide in downdog. I like the feeling of it on my bare feet. Thank you for your time and all you do to make a positive difference in our world! The mat is sheer bliss!! I love it!! Have told everyone in my class where I got it! I just got a Jade mat and I love it. Everywhere I go, all the “cool” yogis have jade mats. I am now in love with my mat! It did not move even once throughout all the moves and all the sweat that my class creates, I am so at ease that I don’t have to worry about my feet or hands slipping anymore and possibly injuring myself. I am so in love with my mat, thank you for making such a wonderful product. 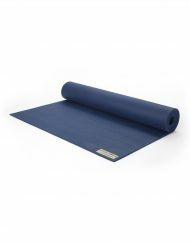 I have used my new yoga mat several times and love it, especially my sweaty hands. I am very impressed by Jade’s ability to go above and beyond expectations! Thank you all for the prompt action and communication. I will be sure to spread the word concerning your outstanding customer service there at Jade! Thanks again! Have a wonderful holiday season! Excellent … just what I was hoping for. I already had one of these for myself that I purchased at my yoga studio about a year ago. I wanted to get the same one for my husband, and this is it. This mat does NOT slip no matter how long you use it, even when sweating profusely, and no matter how many times you wash it! LOVE IT!!! This mat beats other yoga mats by far. I practice Yoga 3 times a week and I do sweat a lot. This mat gives you a firm foundation and although it is only 3/16 it has enough cushion for sore knees. I can say I do not slide at all on this mat. I have purchased cheap mats it the past and this is well worth the money. Also a bonus Jade Harmony plants a tree for each mat that is sold. These mats are much more “sticky” than the average mat even when I am sweating from a hot practice. They are also thicker and can be purchased in a longer version (good for tall people and angle or lunge poses). Some people are bothered by the rubber smell – I hung mine over a rod for a week and it seems fine. The sustainability was important to me too – a natural product helps me feel more connected to the world than a petroleum product. I recommend these to my students and to you too! I’ve used it a handful of times and it is just the right thickness and isn’t slippery at all 🙂 I don’t notice the rubber smell and love that it’s a little more earth-friendly than other options. 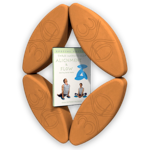 I’m in my early sixty’s and have been doing yoga for most of my adult life. 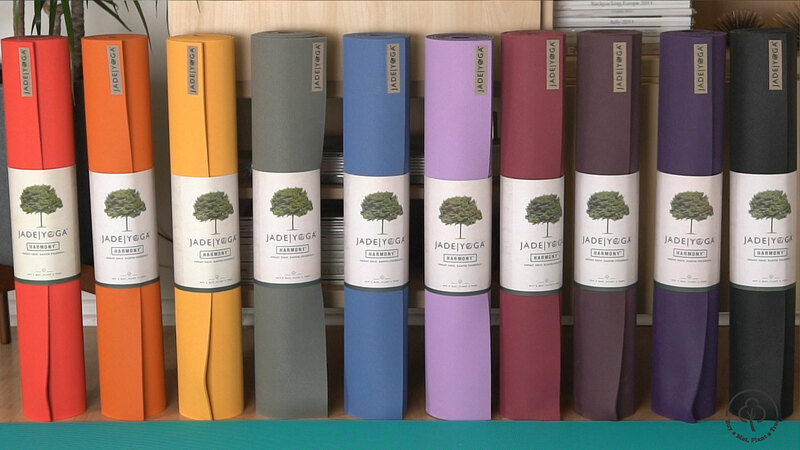 Teaching bring a lot of students with a wide variety of yoga mats. Over the years I’ve tried them all. I haven’t bought myself a new mat in years because there was nothing out there that was anything special. I read a couple of very good reviews about the Jade mat. I went on line to find out more. I saw the price. I had to talk myself into buying the mat by saying that this is an investment in my passion. I had to let it air out for a couple of days to get rid of the rubber odor. I took it to class. The mat was great. I felt very secure and sure footed. I put my other mats away. I went to an all day Iyengar workshop. Everyone wanted to work with me on my mat or use it when I wasn’t using it. Great mat. Well worth the extra cost. I hope I feel the same way after a year or two?